This week’s post outlines the critical importance of the inclusion of not only physical therapy in postpartum rehab for new mothers, but of the contemplative science of yoga as well. To learn more, visit the resources at the end of this post. Thanks for caring about mothers! Yoga offers a compelling mind-body approach to maternal care that is forward thinking and aligns with the World Health Organization and Institute of Medicine’s recommendations for patient-centered care. But let’s take a look at WHY postpartum care MUST change in order to understand why yoga in physical therapy for postpartum care is so important. Patient satisfaction also suffers under the current model of care, with many more mothers experiencing postpartum depression, a significant risk factor for both mother and baby during and after pregnancy. The problem does not only exist in the United States, however. Postpartum care can stand to improve internationally. Physical therapists can be instrumental change agents in improving current postpartum care, especially through the integration of contemplative sciences like yoga. Yoga can be the cornerstone of holistically-driven, person-centered care, especially in comorbid conditions such as pelvic pain and depression, where pharmacological side effects, stigma, can severely diminish adherence to biomedical interventions.6 Coeytaux, as well as other authors, clearly correlate the reduction of maternal mortality with improved postpartum care. A physical therapist is a vital team member for screening many of the conditions that the World Health Organizations deems necessary in postpartum care. A physical therapist is a vital team member in not only screening for many of the listed problems above, but in managing them. It is important to note that other countries, like France, deliver high quality postpartum rehab care plus in-home visits, all while spending far less than the US on maternal care. Addresses the mother as a person, not as a condition or diagnosis. Empowers mothers with self-care strategies for systems-based, not just musculoskeletal or neuromuscular, change. Addresses all domains of biopsychosocial impairment. Teaches interdisciplinary partnership-based theory, which is integral to creative collaborative discourse and innovation in postpartum care. Equips clinicians with business service, website development, practice paradigm, and social media campaign tools to fully develop the new clinical niche of Professional Yoga Therapy practice. Promotes patient advocacy, health promotion, and public health education via mainstreaming yoga into rehabilitative and medical services. Provides the gender context for prescription that traditional yoga is lacking. Evolves yoga for use in prenatal and postpartum care. Physical therapy screening and intervention in the postpartum is vital, but the addition of yoga can optimize postpartum care and has enormous potential to be a “Best Care Practice” for postpartum care in rehabilitation. support for developing niche practice in integrated postpartum care. Postpartum integrated physical therapy care can provide more comprehensive care than rehab alone because of its multi-faceted biopsychosocial structure and systems-based model of care. 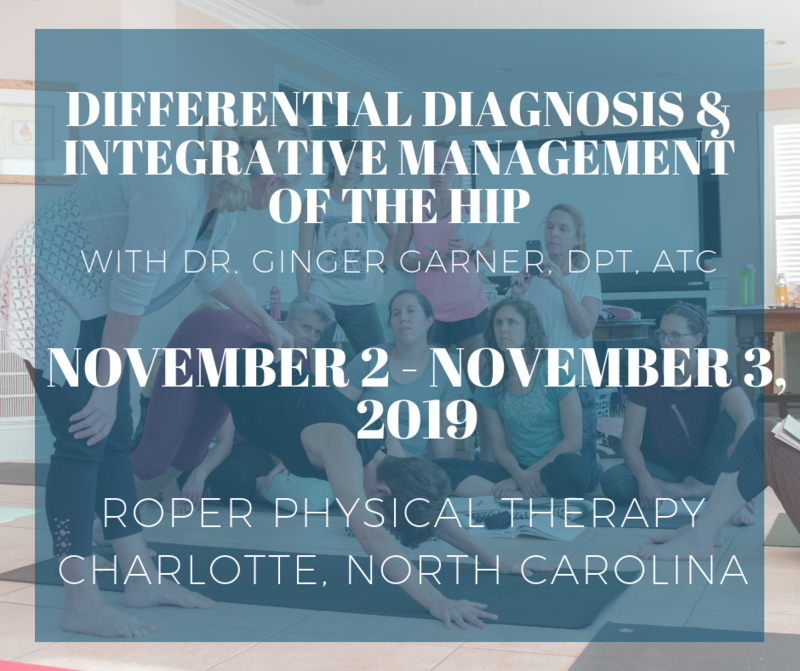 Ginger’s courses, Yoga as Medicine for Labor, Delivery, and Postpartum and her advocacy work provides evidence-based methodology for prenatal and postpartum practice that streamlines clinical decision-making and intervention through introduction of a yogic model of assessment. Kuklina E, Meikle S, Jamieson D, et al. Severe obstetric morbidity in the US, 1998–2005. Obstet Gynecol. 2009;113:293–299. Tita ATN, Landon MB, Spong CY, et al. Timing of elective cesarean delivery at term and neonatal outcomes. NEJM. 2009;360:111–120. Oshiro BT. Decreasing elective deliveries before 39 weeks of gestation in an integrated health care system. Obstet Gynecol. 2009;113:804–811. WORLD HEALTH ORGANIZATION., 2002. Towards a common language for functioning, disability and health : ICF. Geneva: World Health Organisation.